Crete has many gorges –more than 250, as a matter of fact. Some of these are very hard to access, some are dry and others are full of vegetation and running water. Agiofaraggo (Aghiofaraggo, Agiofaragko, Αγιοφάραγγο) is one of the most imposing, easy-to-access gorges that offers something more than the joy of trekking. It is a landscape that unravels the beauty of the Cretan land before your eyes, wild but simultaneously hospitable. 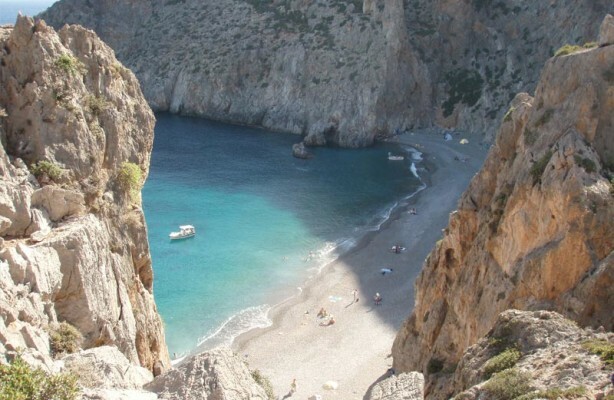 The route through the gorge will lead you to one of the most beautiful beaches of Crete of crystal clear water, surrounded by breathtaking rocks.